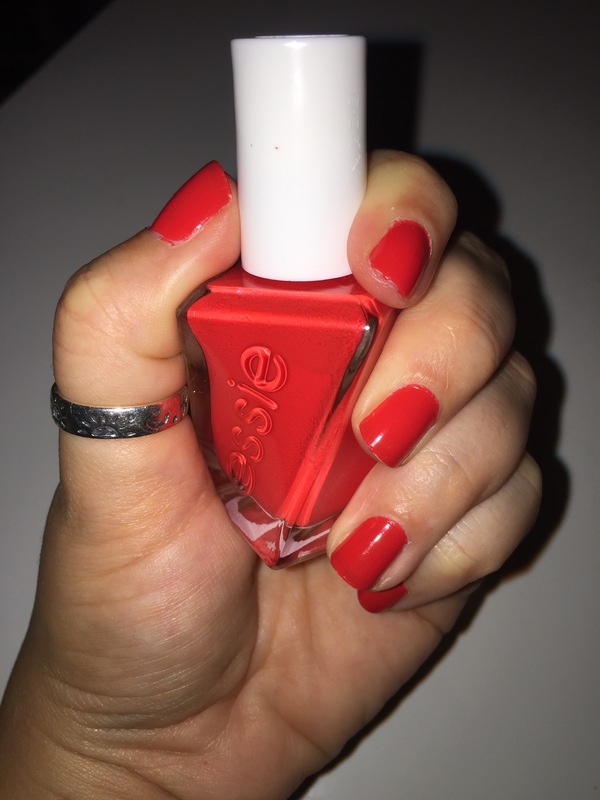 Essie Gel Couture: Worth the Hype?! Like a lot of women, I’m a nail polish junkie. Essie is by far my favorite brand because of wide shade range. However, anyone who knows Essie polish, knows they chip after about 4 days of wear. Until now! The new Essie gel couture polish retails for $11.50 (Essie original polish is about $8) and is well worth every penny!! This photo was taken a week after application. YES! 7 days! And it is still going strong.. No chips.. No sign of wear. It’s thicker than the original polish (gel, duh) and the brush is now wider, thank you Essie! This is the shade “flashed”. This polish gets a 5 out of 5 from me, I literally have no complaints! You can purchase the new Essie polishes at target or ulta. That shade is gorgeous!!! 😍😍 it’s so pretty and summery! Do you find it quick drying? Or normal polish drying time? Oh thats not bad at all! !